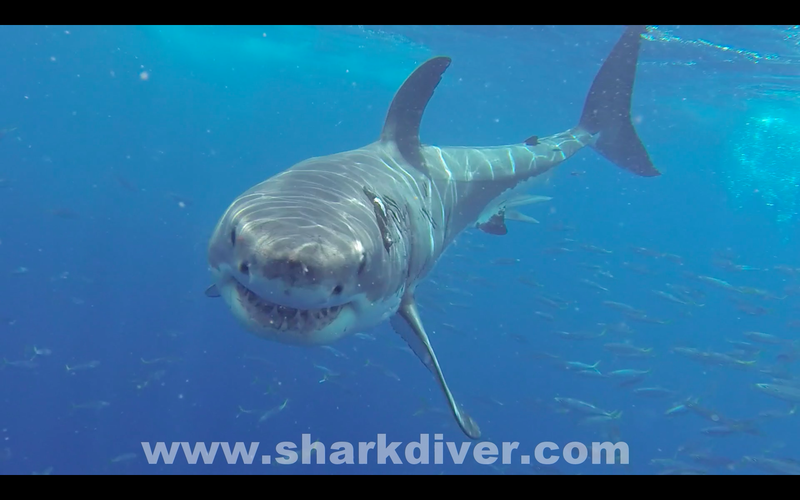 Shark Diver : Shark Diving : Swimming With Sharks: Do sharks feel pain? There have been quite a few articles written on wether sharks feel pain or not. There is a lot of contention on both sides of the issue and the debate has gotten quite personal and ugly. "Dr. Bob" with big bite marks on his gills. "DaShark" has summarized what's going on quite well and you can read his thoughts in his blog here. I'm on the fence on the issue myself. I love sharks and personally would like to see a complete ban on shark fishing. 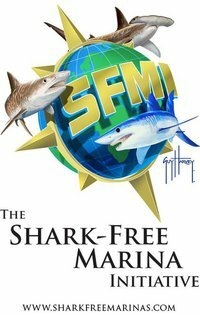 Having said that, I know that this is an unrealistic expectation and that is why Shark Diver started the shark free marina initiative and began working with shark tournaments to include a catch and release division. Now catch and release has become highly controversial as well, specially in light of post release mortality and the above mentioned "can sharks feel pain" debate. Catch and release, with it's post release mortality rate, is certainly not ideal, but it's far better than catch and kill, with a 100% mortality rate. As far as the pain is concerned, I'm not a scientist, so I can't argue with scientific facts. 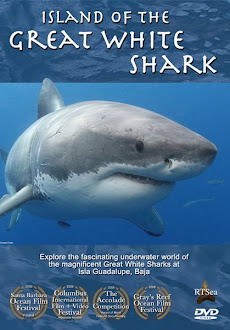 I have been diving with great white sharks at Isla Guadalupe for 14 years and my observations have led me to think that they do not feel pain like we do. Ila France Porter, in her blog, writes "Since animals cannot tell us how they feel, scientists have searched indirectly for evidence about their subjective experiences, in the studies of neuroanatomy, neurophysiology and behavior. Researchers have developed strict criteria, all of which need to be met, before they can conclude that an animal can feel pain". Fish meet all of these criteria, as has been shown in a wide variety of experiments. (Sneddon et al 2003, Reilly et al 2008). The blog further states that "the animal should be able to learn to avoid a painful stimulus. This should be so important to the animal that it avoids the threat of pain right away. The painful event should strongly interfere with normal behavior — it should not be an instantaneous withdrawal response, but long-term distress." and "Yet no evidence has ever been produced to support the idea that an animal could live successfully, and survive, without the ability to feel pain, which is an important warning sensation. It would result in inappropriate behaviour, and the fish would go straight into evolution’s garbage can. Only a small percentage of fish who come into the world live to adulthood, and any weakness would doom them"
The very survival of a lot of sharks is dependent on what would be a very painful mating procedure, pain, that this article says the animal feeling it, would avoid at all cost. I know, this is not going to be popular, but based on the above reasons and my observation of sharks with severe bit wounds, like "Chugey" in this picture, swimming around without any signs of distress, I'm not convinced that they feel pain in any way similar to humans. Like I stated above, I'm not a fan of catch and release fishing and don't want people to mistreat any living creature. What I'm saying though is this. If we want something to change, we have to address it scientifically and not emotionally. It's easy to convince other people who love sharks as much as we do to protect them. If we want to save sharks, we have to convince those who do not share our love for the sharks to change. In order to do that, we need scientific facts and not rhetoric. How to conquer fear of sharks? Break the law?